Brutally honest, not sugarcoated answer: putting a disc brake on this bike is probably a waste of time and money. That single hole is probably for attaching a fender or rear rack. Can you post some photos or more info about this bike? What do you plan to accomplish with a disc brake that you cannot do with the bike's current brake? How much money are you willing to spend on an adapter (if it exists), new wheel, caliper and lever, etc? if you're just doing mellow touring, disc brakes won't be that great of an upgrade...especially for the cost of the bracket/caliper/cable/housing/rotor & new rear hub/wheel (that's ~$500 right there). people used rim brakes just fine for decades....and still do on almost all road bikes. they're not that bad. 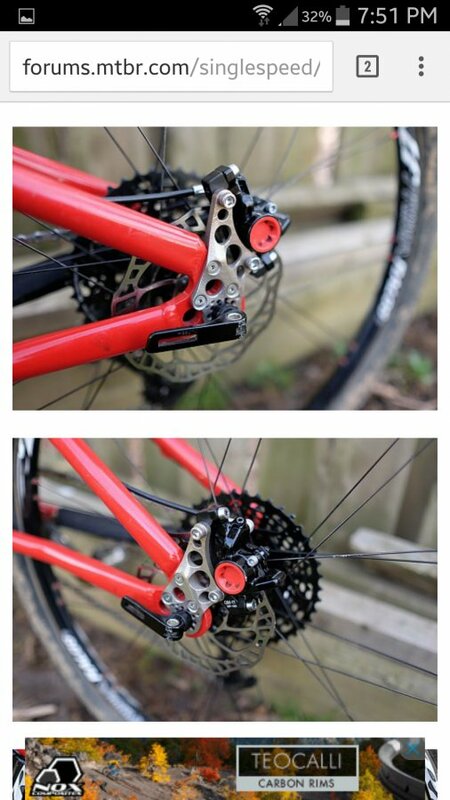 if you're doing more than mellow touring and still really want to upgrade because you think it's worth it for better modulation, stronger braking in the wet/mud....etc, i'd sell the bike and upgrade the whole thing. you'll no-question be happier with the result and money spent. Probably not a good idea to send you down this rabbit hole, but here it is. Ride it like it is until the wheels fall off! Lol.i seen slackard on this forum custom a bracket which is legit. my brother has a set of wheel and disc brakes that i can use. New wheels needed as well, might be better off to go with a used bike with the setup you are looking for. For the A2Z DM-UNI universal disc brake adapter to work you need to have wide and flat dropouts with no braze-ons or frame cable stops in the way. This is the adapter on a 1997 GT LTS-1, which has perfect dropouts for this application. The dropout faces have to be square. If you have round tubing or a dropout that curves and does not let the adapter sit flat then it will not attach tightly. This could be very dangerous. If the brake caliper can move at all and not stay parallel to the brake rotor you risk your brake locking up. 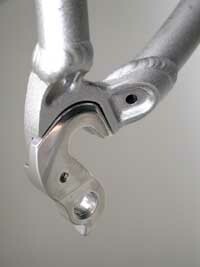 There are many other shapes and sizes of dropouts. If you post a photo of what your bike has we can tell you if an adapter like this will work. 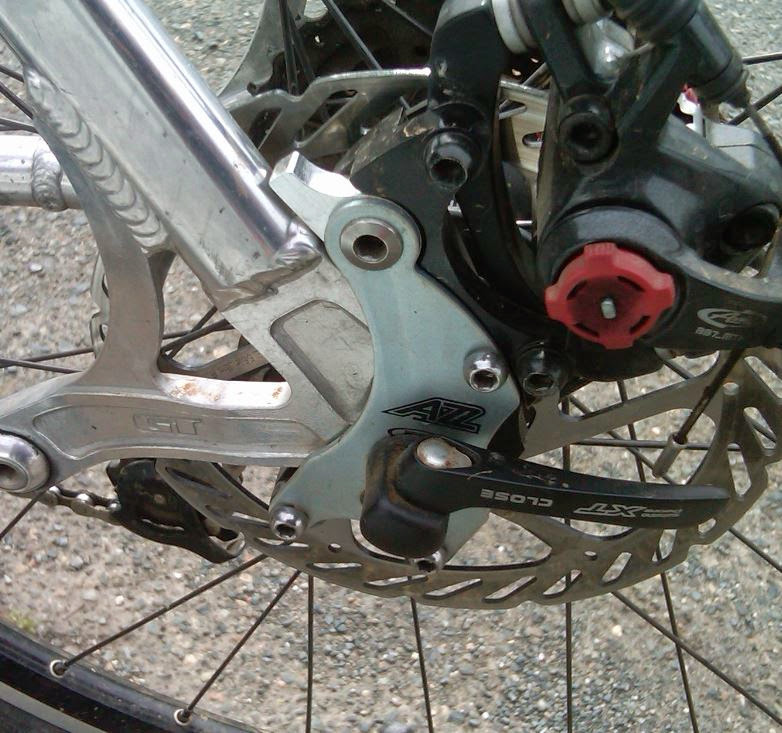 The curvature of the top edge of the dropout may be a deal killer for you. It would not allow the adapter to be attached firmly against the entire dropout, only at the ends. I don't know how stable that would be, I would not advise trying it. I also think the quick release may be too far to the rear for the adapter to have enough frame material to sufficiently clamp around. This. Just get out and enjoy the ride. 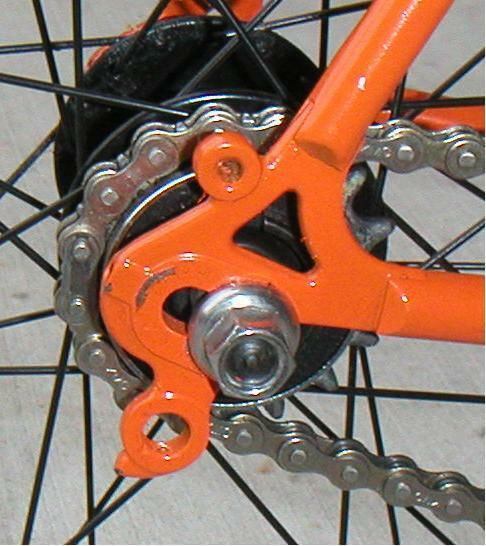 Has Anyone Adapted a 135 Rear Disc Hub to Work with Front Disc Spacing? 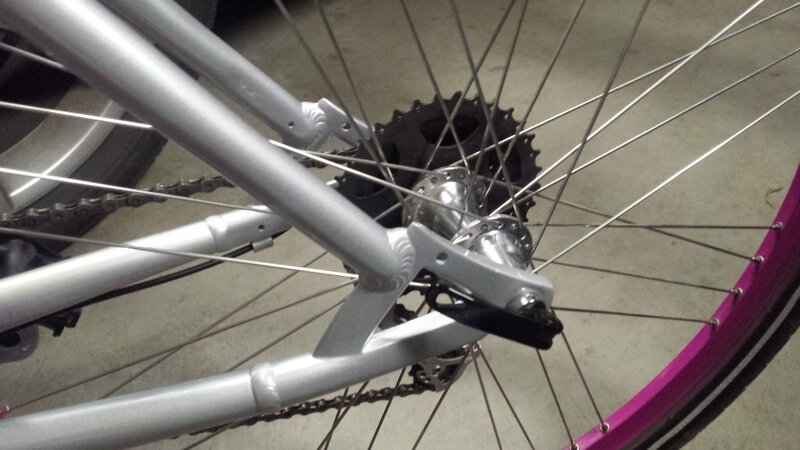 Disc Brake Conversion - rear stay brake line?